The Home International Regatta is an annual competition held annually between England, Ireland, Scotland and Wales, hosted by each country in turn. This year it was in Scotland at Strathclyde Lock, venue of the Commonwealth Regatta in 2014. Ben and Barney came 2nd in a tightly fought race, narrowly losing out to the Scottish boat, beating the Welsh (3rd) and Irish (4th) boats, in a time of 7 minutes 13 seconds in windless conditions. "We had a fantastic race, everything came together for that performance. We shot off the start in the lead, but the Scottish pair were too strong in the middle section. We put in several pushes during the second half of the race, which took us clear of the Welsh and Irish, but each time the Scottish responded." said Ben, the bowman. "We gave it our all and I was not in a good state after the race!" "It was a great honour to represent England and I'm very proud to have been a part of the event." said Barney. "Ben and I were well prepared for the race and executed our race plan perfectly, of which I'm very pleased about. I'm also extremely happy that our club was represented once again at the Home International Regatta." 5 rowers from Cambridge were selected to represent England at the Home International Regatta on 25th July 2015. 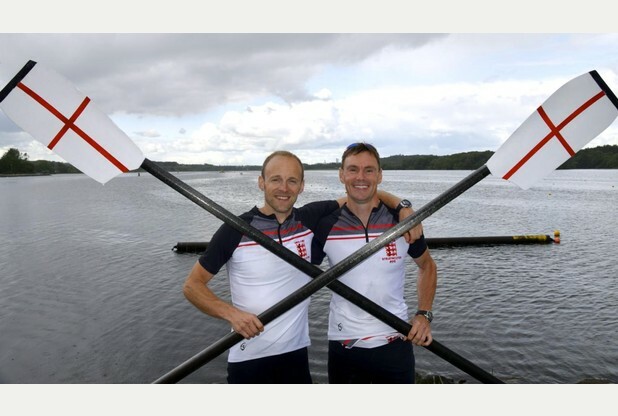 For the men Ben Redman and Barney Price from City of Cambridge were selected as the Mens Lightweight 2-. More details on their race can be found here. 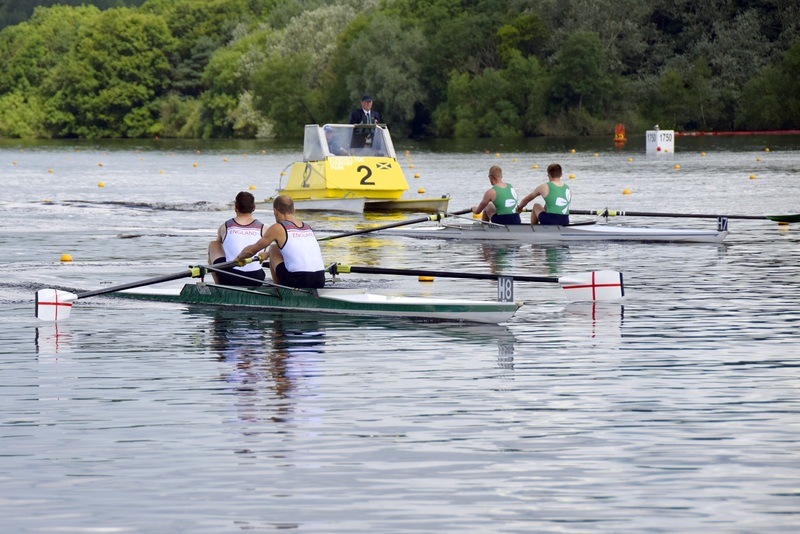 For the third year running Cantabs had crews selected to race for England in the Home International Regatta - this year the Women's Pair and Women's TA Single were successful in getting their call ups. After racing town bumps on the Friday, the pair drove up to Strathclyde overnight and enjoyed the bright Scottish sunshine as they boated for their pre-paddle on Saturday morning. Racing at 1150 the pair were able to renew their rivalry with Wales' Helen Roberts who they had raced on and off for much of the season. Going off the start at R44, Ellie and Myriam quickly opened up a half-length of clear water over the Welsh crew, with Scotland and Ireland both several lengths back by the 500m marker. A week of bumps racing however had clearly taken its toll and Wales were able to row back through the English pair, finishing a length up. The traditional Strathclyde weather soon closed in and persistent torrential rain became the main theme of the day. Claire Connon boated for her race at 1435 and made her way up to the start to face Scotland's Hope Gordon. Again, the Cantabs crew got a fast start and opened up a length of clear water, but were clawed back down the length of the course. So, a couple of second place finishes to carry on the main theme of the season, following up on second place finishes at Pairs Head, Fours Head, Scullers Head, Women's Eights Head, Nottingham City, Wallingford, Metropolitan and more!